By now I’m sure you’ve heard about graph databases. You may’ve even read my earlier article about the benefits graph databases offer when modelling network inventory when compared with relational databases. But have you heard the Graphene Database Analogy? I equate OSS data migration and data quality improvement with graphene, which is made up of single layers of carbon atoms in hexagonal lattices (planes). Bonds between planes – It’s the interconnections between siloes (eg circuits, network links, patch-leads, joints in pits, etc) that is usually trickier. So I envisage alignment of nodes (on the data plane or graph, not necessarily network nodes) as equivalent to bonds between carbon atoms on separate planes (red/blue/aqua lines above). Confidence – I like to think about data quality in terms of confidence-levels. Some data is highly reliable, other data sets less so. For example if you have two equipment ports with a circuit name identifier, then your confidence level might be 4 out of 4* because you know the exact termination points of that circuit. Conversely, let’s say you just have a circuit with a name that follows a convention of “LocA-LocB-speed-index-type” but has no associated port data. In that case you only know that the circuit terminates at LocationA and LocationB, but not which building, rack, device, card, port so your confidence level might only be 2 out of 4. * the example of a circuit with two related ports above might not always achieve 4 out of 4 if other checks are applied (eg if there are actually 3 ports with that associated circuit name in the data but we know it should represent a two-ended patch-lead). Have you seen OSS tools where the applications are brilliant but consigned to failure by bad data? I definitely have! I call it the data death spiral. It’s a well known fact in the industry that bad data can ruin an OSS. You know it. I know it. Everyone knows it. But how many companies do you know that invest in data quality? I mean truly invest in it. The status quo is not to invest in the data, but the disaster. That is the disaster caused by the data! Being a data nerd, it boggles my brain to understand why that is. My only assumption to date is that we don’t adequately measure the cost of quality. Or more to the point, what the cost impact is resulting from bad data. I recently attempted to model the cost of quality. 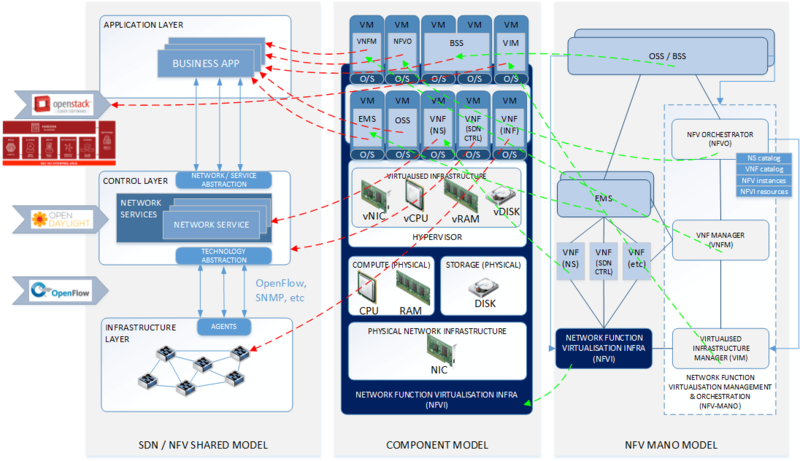 My model focuses on the ripple-out impacts from poor PNI (Physical Network Inventory) quality data alone. Using conservative numbers, the cost of quality is in the millions for the first carrier I applied it to. Why do you think operators wait for the disaster before investing in the data? What alternate techniques do you use to focus attention, and investment, on the data? And then there is suggesting what you might want (Heywood Hill). Today, I look to apply a similar model towards the holy grail of OSS – Zero Touch Assurance (ZTA). The third step, pre-cognition, is where the supposed holy grail lies. It’s where everyone talks about the prospect of AI solving all of our problems. It seems we’re still a way off this happening. But I wonder whether the actual ZTA solution might be more of a brute-force version of step 2 – post-cognition? The first OSS project I worked on had a full-suite, single vendor solution. All products within the suite were integrated into a single database and that allowed their product developers to introduce a lot of cross-linking. That has its strengths and weaknesses. The second OSS suite I worked with came from one of the world’s largest network vendors and integrators. Their suite primarily consisted of third-party products that they integrated together for the customer. It was (arguably) a best-of-breed all implemented as a single solution, but since the products were disparate, there was very little cross-linking. This approach also has strengths and weaknesses. I’d become so used to the massive data migration and cross-referencing exercise required by the first OSS that I was stunned by the lack of time allocated by the second vendor for their data migration activities. The first took months and a significant level of expertise. The second took days and only required fairly simple data sets. That’s a plus for the second OSS. However, the second OSS was severely lacking in cross-domain data, which impacted the richness of insight that could be easily unlocked. Let me give an example to give better context. We know that a trouble ticketing system is responsible for managing the tracking, reporting and resolution of problems in a network operator’s network. This could be as simple as a repository for storing a problem identifier and a list of notes performed to resolve the problem. There’s almost no cross-linking required. The referential ticketing system gives far richer information, obviously, but you have to trade that off against the amount of integration and data maintenance that needs to go into supporting it. The question to ask is what level of linking is justifiable from a cost-benefit perspective. Those of you familiar with TM Forum are already quite familiar with the Frameworx enterprise architecture model. It’s as close as we get to a standard used across the OSS industry. But there’s a newer weapon in the TM Forum arsenal that appears to be gaining widespread use. It’s the TM Forum Open API suite, which has over 50 REST-based APIs as well as having many more under development. This link provides the full list of APIs, including specifications, swagger files and postman collections. It’s well worth reviewing as I think you’ll be hearing about TMF642 (Alarm Management API) and all its sister products as commonly as you hear eTOM or SID mentioned today.